Venues NSW is statutory authority with a governing Board that reports to the Minister. It was established to manage government-owned sporting and entertainment venues in the Hunter, Western Sydney and Illawarra. The Workplace Health & Safety Business Partner oversees the safety and mental and physical health for employees, contractors, partners, suppliers and visitors across Venues NSW, working closely with the Venue Operators to identify and prevent hazards / risks, review and assess incidents, and implement measures and policies to ensure the highest standards of work health and safety in all of Venues NSW’s locations. Oversee WHS and ensure a safe work environment across Venues NSW, integrating WHS into all planning activities and operations to ensure compliance with WHS Legislation, Australian standards and relevant codes of practice. Identify WHS risks and hazards and put in place processes, measures and resources to minimise these, working with Venue Operators to implement across venues. Collate and review reports on incidents from venues (arising from compliant and non-compliant contexts), identify remedial and preventive actions and coordinate action plans, working with Venue Managers to ensure actions are implemented and monitored. To apply for this role you need to submit an application via http://iworkfor.nsw.gov.au/, Job Reference No. 00006WWL. Answer the two pre-screening questions (see below) which should demonstrate your competency in the focus capabilities (maximum of 2 pages). 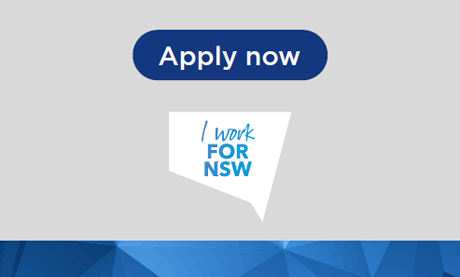 Further information about “Applying for a role in the NSW Public Service” is available on I work for NSW. 1. The role oversees the safety and well-being of a diverse business stakeholders ensuring a safe working environment across venues. Please describe a situation where you had to establish a WHS framework and deliver WHS best practice, in compliance with WHS Legislation, Australian standards and relevant codes of practice. How have you ensured you achieved the best outcome for the organization? 2. Provide an example of a time where you have undertaken a project that assisted with creating a safety culture and/or reinforcing WHS in a new environment. Describe your role on the project, the challenges you had to overcome and the outcome. For further information about the role please contact Maria Macaraniag on (02) 8754 8756 or view the role description. The successful applicant will be subject to a National Criminal Records Check. No offer will be made until all relevant clearances are finalized. The Office of Sport is committed to building a workplace culture that values diversity and inclusion. We encourage applications from Aboriginal and Torres Strait Islanders, people with a disability, women, LGBTI, and people from culturally and linguistically diverse backgrounds. If you have any accessibility requirements, please liaise with the contact officer. We provide reasonable adjustments for people with a disability during the recruitment process and on employment.